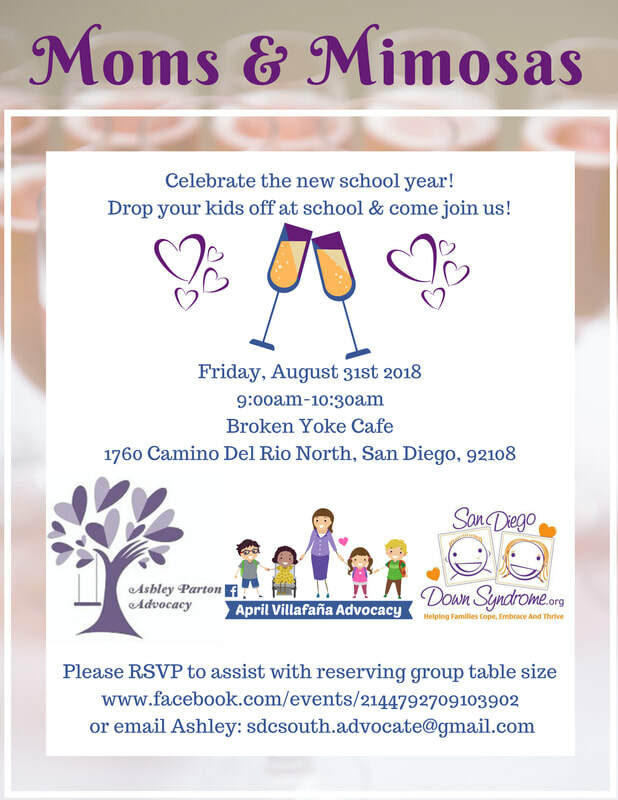 Professionals, including April Villafaña Advocacy, will be on hand to discuss how to navigate your child’s IEP meeting! Better Together's Winter Structured Playgroup! Thank you Spina Bifida of San Diego for hosting us at Rady Children's Hospital-San Diego. Thank you GiGi's Playhouse San Diego for hosting us & kicking off Down Syndrome Awareness Month! 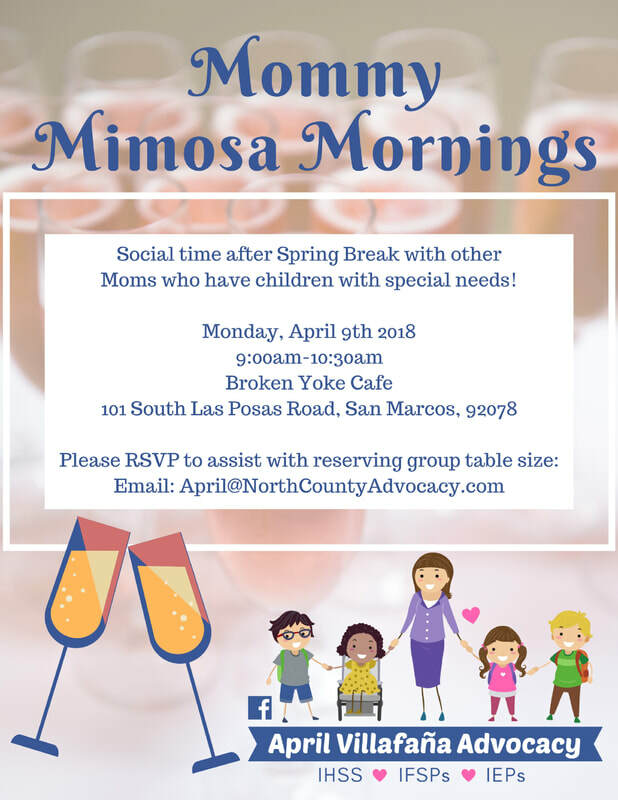 Don't miss the next Mommy Mimosa Morning! Let us know if you would like to receive an email invite, or follow my Facebook page! Thank you to those who attended our workshop at the Hera Hub. 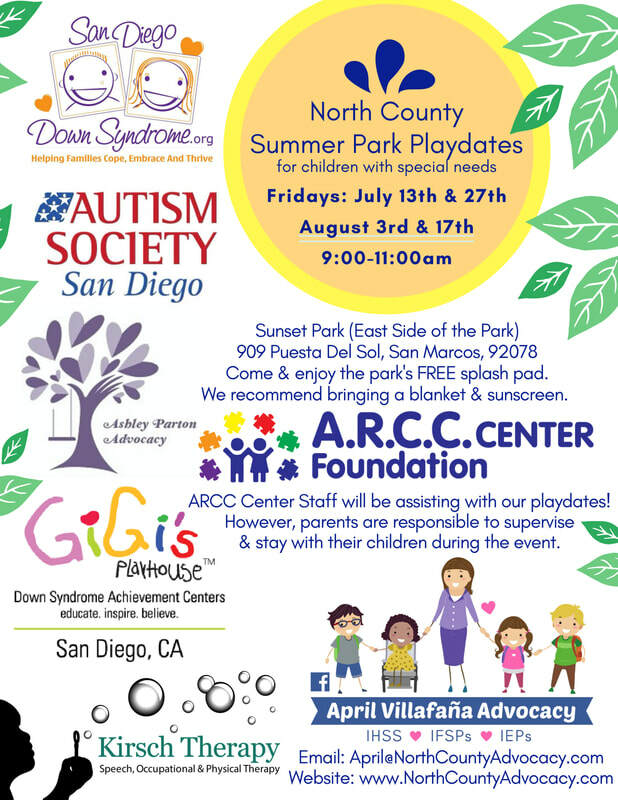 Thank you to those who supported, sponsored & attended my North County Summer Park Playdate! Follow my Facebook page for other local community events! 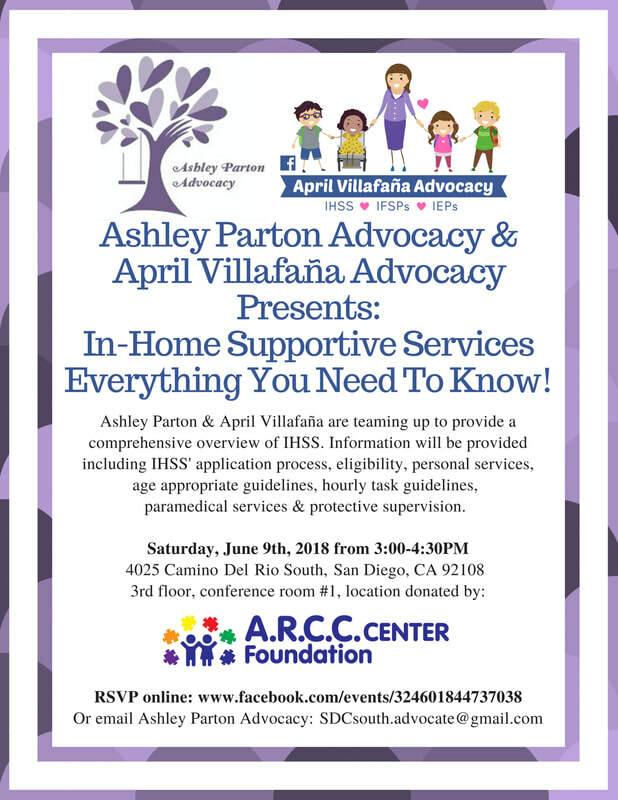 Thank you to those who attended Ashley Parton Advocacy & April Villafaña Advocacy's IHSS Workshop! 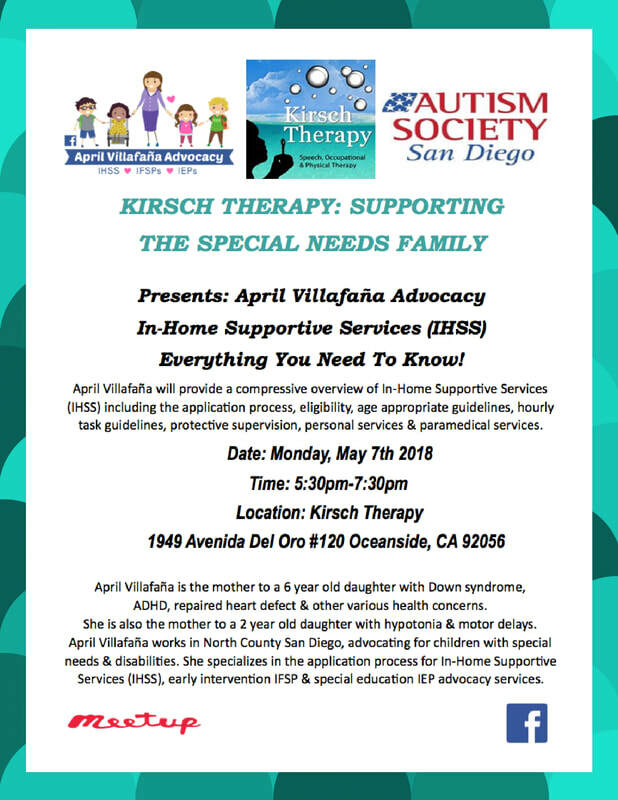 Thank you Kirsch Therapy & Autism Society San Diego for hosting my presentation. 50 parents attended! Follow my Facebook page for other local community presentations. 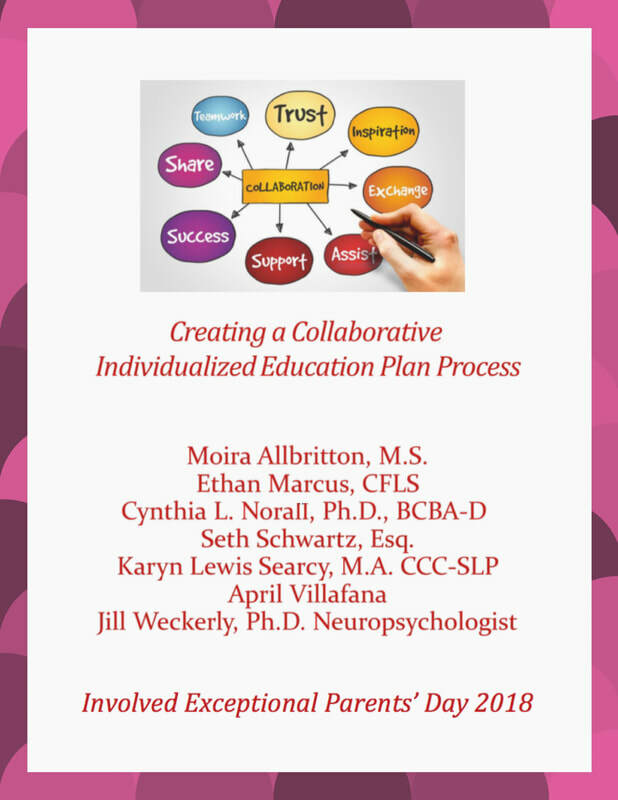 It was an honor to be part of "Creating a Collaborative Individualized Education Plan Process" presented by Moira Allbritton, Ethan Marcus, Cynthia Norall, Seth Schwartz Esq, Karyn Lewis Searcy, April Villafaña & Jill Weckerly. Visit Involved Exceptional Parents' Day Conference & www.IEPday.org for ongoing information regarding next year's conference.